Because we can neither find nor create time, we must set aside time to accomplish anything of importance. Prayer was clearly important to Jesus because, as the Bible tells us, he frequently took the time to go off by himself to pray. Throughout the Gospel stories, Jesus is shown taking time for prayer regularly, but also at critical times during his life. 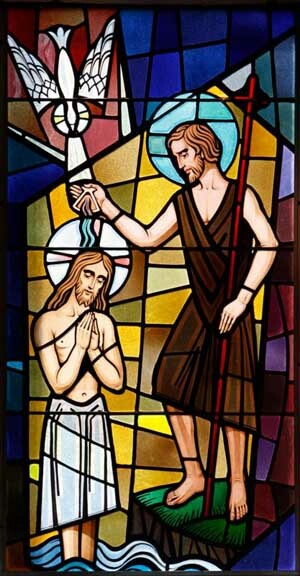 For example, following his baptism by John, Jesus went off by himself into the desert to fast and pray to prepare for the temptations he would experience (Mt 4). When Jesus heard about the death of John the Baptist “he withdrew in a boat to a deserted place by himself” (Mt 14:13). When the crowds followed him, he was then prepared to heal them, and later fed the multitudes with the five loaves and two fish (Mt 14:14-21). In addition to taking time for prayer before he faced a difficult task, Jesus also would go off by himself following a busy day. After feeding the thousands, he dismissed them, sent the apostles off by boat, and then “went up on the mountain by himself to pray (Mt 14:23, see also Mk 6:46). Matthew tells us that he was alone there until the evening. And, as Mark 1:35 notes, Jesus would go off to a deserted place early in the morning when everyone else was asleep. While there may be many reasons why Jesus went off by himself, one of those reasons was clearly that he would have had no private time otherwise. When his disciples asked Jesus to teach them to pray he not only taught them the Lord’s Prayer (Lk 11), but he also instructed them to “go into your inner room, close the door, and pray to your Father in secret” (Mt 6:6). Yet Jesus became so popular that it was hard for him to find even a moment of solitude. Mark 1:36 reports that when Jesus went off early in the morning to pray he was soon followed by Peter and the other disciples — Mark writes that they “pursued” Jesus — because the crowds were demanding him. While we might not be as popular as Jesus, continually surrounded by crowds seeking our attention, each of us has demands on our time that may hinder us from doing what we want to do. As Stephen Covey, author of “The 7 Habits of Highly Effective People,” noted, urgent matters frequently prevent us from doing important ones. So it might be difficult for us to set aside time regularly for prayer. This is when we would be well served to follow Jesus’ example and simply go off alone to find the time and quiet we need to pray. Mulhall is a catechist who lives in Louisville, Kentucky. PREVIOUS: If Freemasons do good works, can a Catholic join them? NEXT: What is ‘holy leisure’?